Mustad 7982HS Stainless Steel Double Hook for tuna dorado wahoo lures and many other fish! Mustad fishing hooks are manufactured to the highest quality standards and make a hook for virtually every fishing situation. Big game fishing has not changed thru the years much and these hooks have become a favorite of sportfishing enthusiasts all over the world. Great for rigging your favorite marlin or tuna lures and a fine bait fishing hook to boot. Great fishing times lay ahead best be prepared with fine quality tackle. 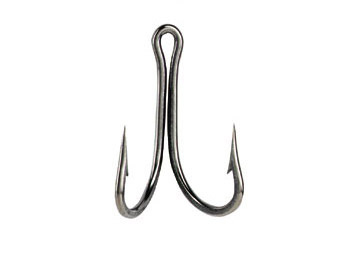 Mustad hooks great for the professional fisherman to the novice alike. Tight lines lay ahead for those who use them. Good luck to all!